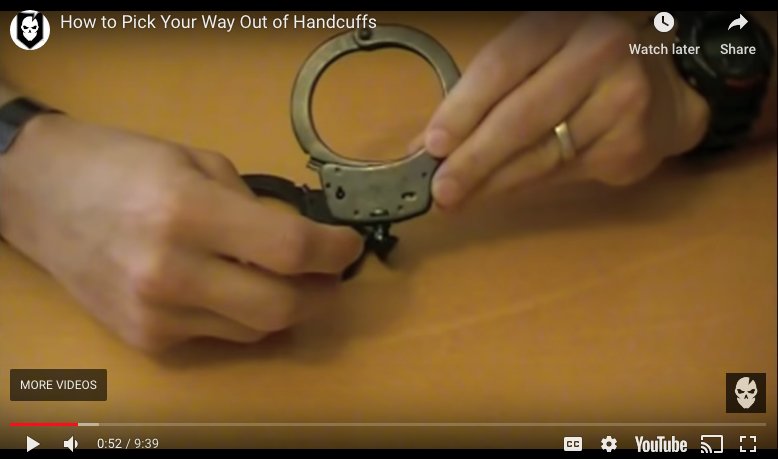 How Hard is it to Pick Handcuffs? The movies make it seem like almost anyone with a bobby pin can pick their way out of a pair of handcuffs, but how hard is it actually? The simple answer is that it’s a lot harder than it looks, however, there are many different resources that detail how to get yourself out using a paperclip or some other ordinary every day objects. ITS put together a pretty comprehensive video showing how it can be accomplished. Watch their video below and, of course, only use this for recreation or entertainment use. We do not condone you trying to pick your way out of handcuffs that you probably belong in!